Assignment: I was engaged to deliver a sweepstakes built around the bank's University of Maryland Athletics Sponsorship. NCAA rules dictate that current players cannot be used in marketing and advertising. 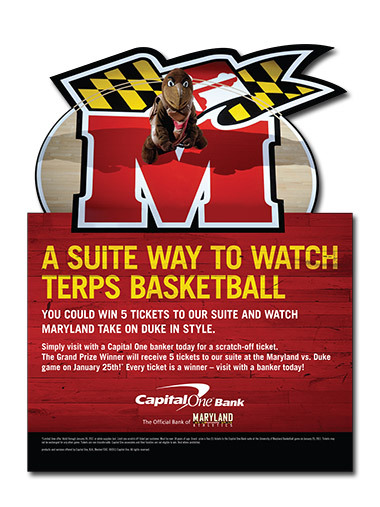 I used the Terrapin mascot standing at center court as the primary focus. I leveraged that creative across scratch off cards and a schedule card handout. On this project - I set creative strategy, developed the concept, wrote the copy and set the layout. 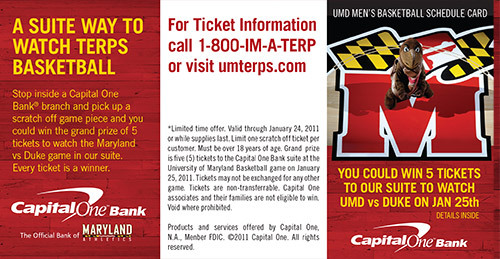 The in-branch standee was die-cut around the UMD court and flag to break up the space of multiple rectangle-shaped signs in branch. The scratch-off cards (shown at right) utilized the same artwork as the standee and highlighted that every card is a winner. 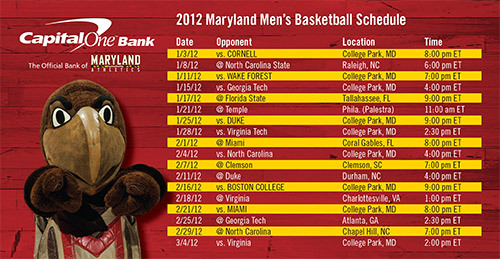 The schedule cards were designed as a giveaway at local bank branches and at Maryland basketball games. 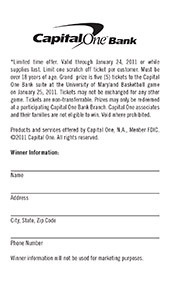 They served two purposes - first, to help drive traffic to the branch and support the sweepstakes. 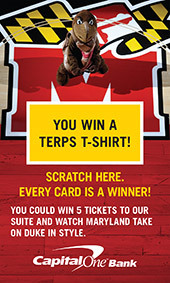 The second purpose was to keep the bank's branding as Official Bank of Maryland Athletics present in the mind of the consumer.